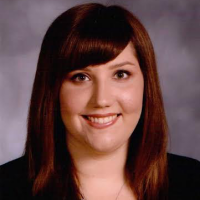 Rachel Mathews is a first year doctoral student in the School Psychology program at Kent State University. She earned her Bachelor of Arts degree from the Ohio State University in 2010, her Master of Science degree in 2011, and Education Specialist degree in 2013 from Miami University. She was a School Psychologist in the Dublin City School District from 2013 to 2015. Her research interests include the use of mobile technology in special education service delivery, school-based mental health services (with an emphasis in supporting anxiety and depression), mathematics anxiety in female students, and social skills interventions for students with Autism Spectrum Disorder.